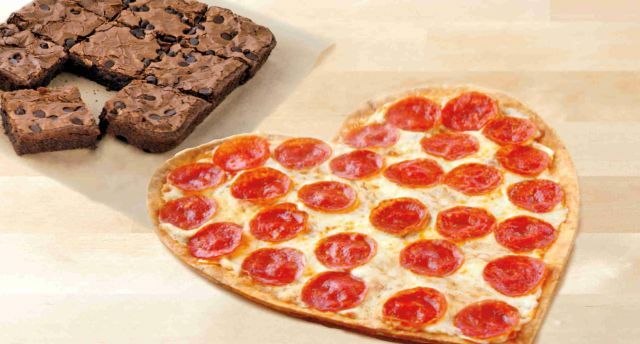 Like Pizza Hut, Papa John's Heart-Shaped Pizza is back and available through Valentine's Day, February 14, 2016. Unlike Pizza Hut's version, Papa John's Heart-Shaped Pizza comes on a crispy thin-crust rather than a hand-tossed crust. The price on the medium-sized pizza starts at $11 plus $1.25 for each topping (may vary). You can also get a 1-topping Heart-Shaped Pizza along with a Double Chocolate Chip Brownie for $15 (just the brownie alone is normally $6).